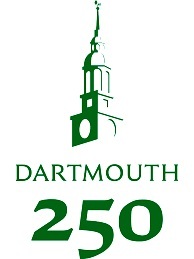 TEDxDartmouth organizes local independent university TED events at Dartmouth College in Hanover, NH. Please join us for a fantastic opportunity to learn about local ideas worth spreading and the power of experiential learning. Open to the public and free for attendees with Dartmouth affiliation. In the spirit of ideas worth spreading, TED has created a program called TEDx. TEDx is a program of local, self-organized events that bring people together to share a TED-like experience. Our event is called TEDxDartmouth, where x = independently organized TED event. At our TEDxDartmouth event, TEDTalks video and live speakers will combine to spark deep discussion and connection in a small group. The TED Conference provides general guidance for the TEDx program, but individual TEDx events, including ours, are self-organized. Interested in attending our 2019 conference? Enter your contact information below to subscribe to our newsletter. Thank you for subscribing! For any additional questions or comments, please contact us at tedx@dartmouth.edu.